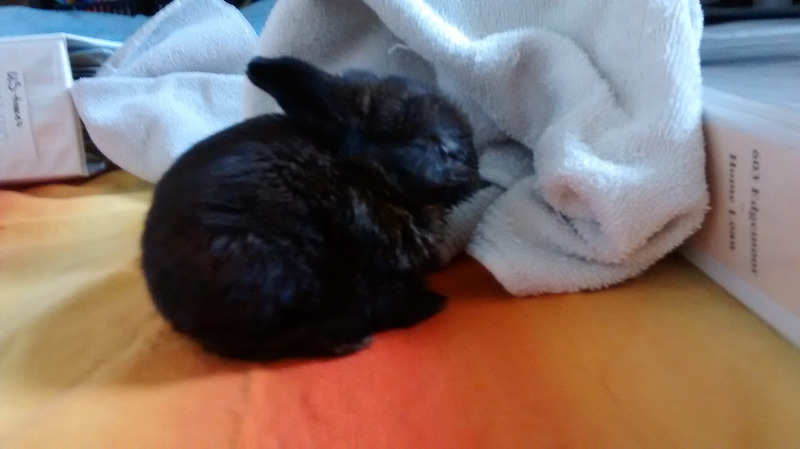 Tiny bunny Willie was dumped by a breeder because she had an eye infection. She was only 1 week old, left to freeze to death outside in the winter. Willie's Fund was created to prevent bunny dumping and create communities where bunnies are wanted and cared for. Our Goal: Spay and neuter 50 bunnies in 2019. 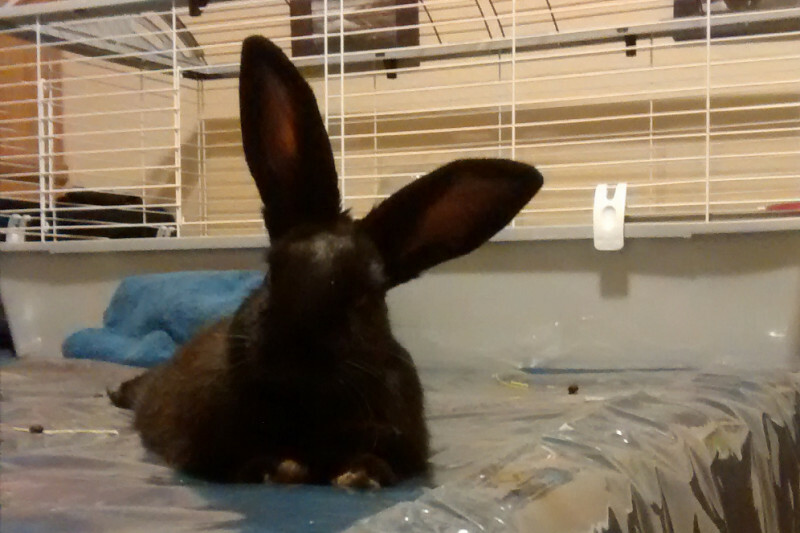 Our Approach: Fund spay & neuter surgeries for owners wanting to keep their bunnies but who cannot afford the surgery. Who are we? We are the ones who found Willie. Blind and cold, she had somehow made it into our backyard. We brought her inside, kept her warm and snug in towel in a shoe box. Knowing nothing about bunnies, but recognizing that she was very young, we gave her some whipping cream, which she ate. And then she pooped. So we figured she might just make it through the night. Willie lived with us for a year and a half, a sunshine and source of endless love and companionship, until she unfortunately passed away during spay surgery. Out of Willie's loss came Willie's Fund. Help us help bunnies like Willie. No bunny should be dumped, neglected, abused, or unwanted. Thank you for supporting our spay & neuter campaign. We are normal people (well, kind of crazy about bunnies but otherwise normal) who care--we have no overhead and no administrative fees. All our proceeds from Go Fund Me go directly toward the spay & neuter costs. 2018 round-up: As 2018 draws to a close, and I am tallying up the fund and the bunnies--42 spayed/neutered--I am in awe of the generosity and support Willie's Fund has received. And because there is no shortage of bunnies, Willie's Fund is continuing its mission in 2019--and we're doing even more! In 2019, our goal is 50 bunnies. We'll have a head start with funds left from 2018, thanks to the super-donor club from the Harbor Hop. Our average cost per bunny in 2018 was $104. And while this is a very competitive price, we are actively adding experienced bunny vets to our participating vet list who are willing give us a discount. 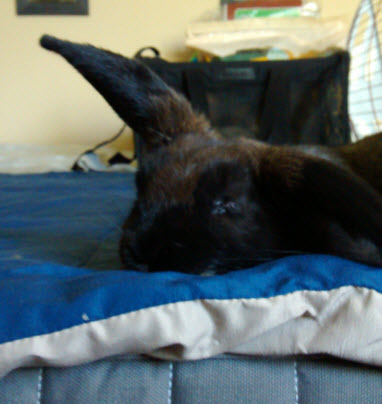 If you have a great, trusted bunny vet, please ask them if they'd be willing to support Willie's Fund. Every bunny makes a difference! Here's to an awesome 2018 and even awesomer 2019!